The term Pit Bull is a relatively non-descriptive one as it is not an officially recognized breed by the American Kennel Club, or AKC, standards. There is actually no dog that is a true “Pit Bull”. Instead, when people use the word Pit Bull, they are typically referring to a particular subset of dogs that maintain physical and behavioral similarities. On Save A Bull I use the term Bully and Pit Bull interchangeably because they are both ways to describe these breeds that are within the Molosser family of dogs – a breed known for its courage and loyalty. Pit Bull or Bully breed dogs typically include the following types of dogs (all the breed names are click-able and will redirect you to a breed description if you want more information) – American Pit Bull Terrier, Bullmastiff, Perro de Presa Canario, Cane Corso, Dogo Argentino, Alano Espanol, Japanese Tosa, Bull Terrier, Alapaha Blue Blood Bulldog, American Bulldog, Boxer, Valley Bulldog, Olde English Bulldogge, and Banter Bulldogge Also included in the Molosser family of dogs are Great Danes, Rottweilers and Newfoundlands. 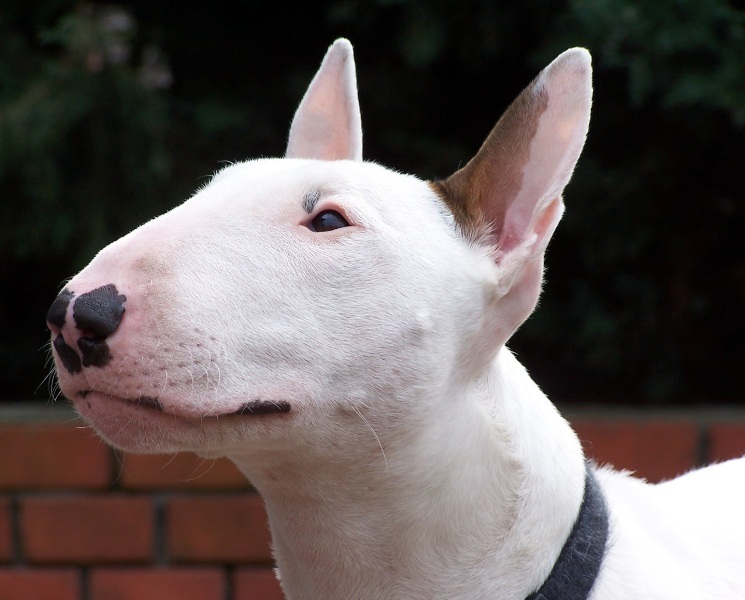 As you can see, there are at least 20 different breeds of dogs that are often considered to be Pit Bull. 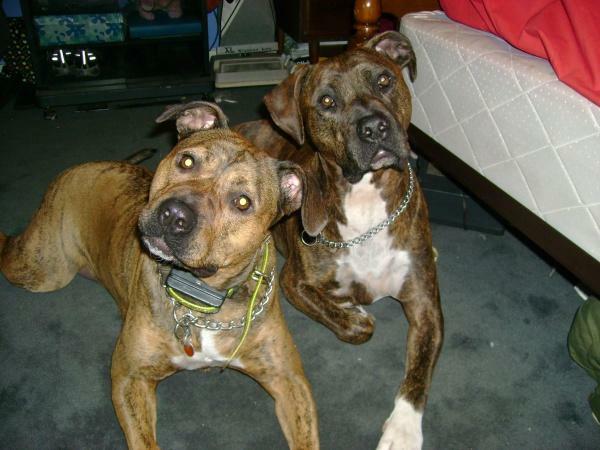 So I have to ask – if people can not tell these dogs apart from one another, why all of the hysteria about Pit Bull attacks? Pit Bull is not even really a breed, so how can we possibly ban a particular breed of dog when it does not truly exist? 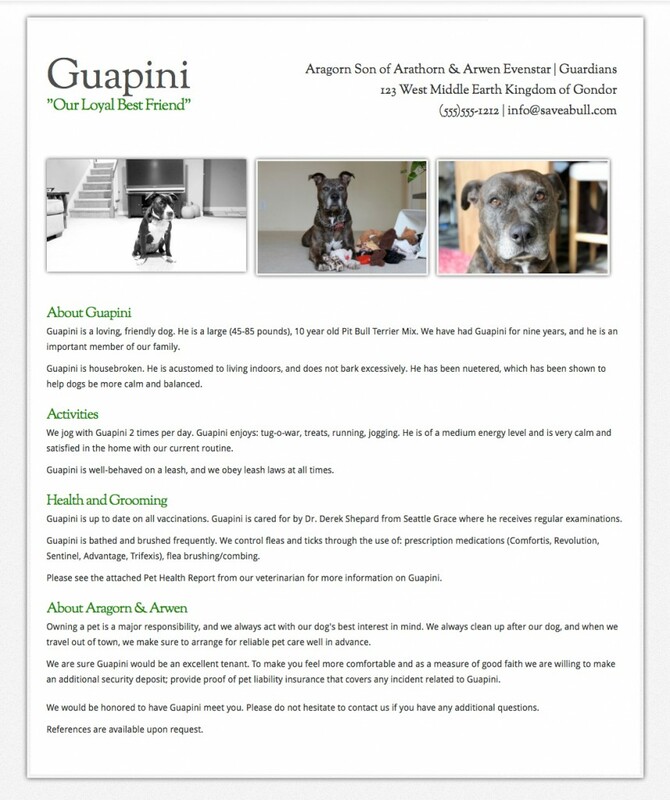 Yes, there is an American Pit Bull Terrier, and they are registered with the following organizations: North American Purebred Dog Registry, United Kennel Club, National Kennel Club, American Dog Breeders Association Inc., Continental Kennel Club, American Pit Bull Registry, American Pet Registry Inc., and the American Canine Registry. The problem with these organizations, unfortunately, is that for the most part they are just loosely formed clubs or corporations that ask owners to register their dogs with them so they can collect a fee. The American Kennel Club is the gold standard for breed definitions, and as you will notice, the American Pit Bull Terrier is not included within their registry because their characteristics are so vaguely defined. 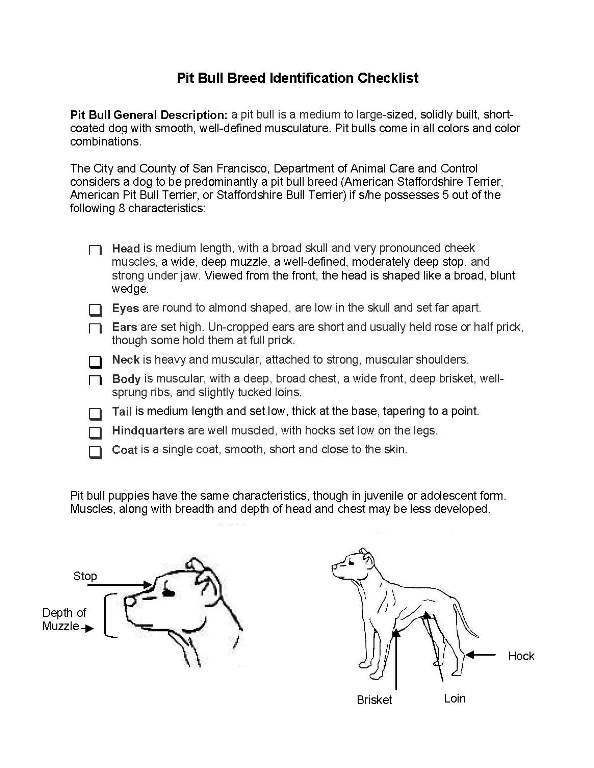 There are a lot of dogs, since they only have to meet 5 of the 8 criteria, that are going to qualify as Pit Bull dogs, including some outside of the Molosser or Bully family. An example of this can be seen with the Akita – they meet the qualifications for head, eyes, ears (theirs are held at full prick), neck, body, and hindquarters. What about Labrador Retrievers? They meet the criteria for eyes, neck, body, tail and hindquarters, but do we just ignore that because they have what some consider to be a “cute” face. Does their longer coat automatically exclude them from further examination? The point I am trying to drive home here is this – you can not punish an entire grouping of dogs just because of the actions of a few. This situation becomes even more complicated with Pit Bulls because there are so many different dogs out there that people consider to be Pit Bulls. I do not mind the Pit Bull nomenclature being used when referring to dogs within this family, but just as no race of people has one defined personality, each of these dogs each have their own distinct personalities as well. This is where responsible ownership comes into play. 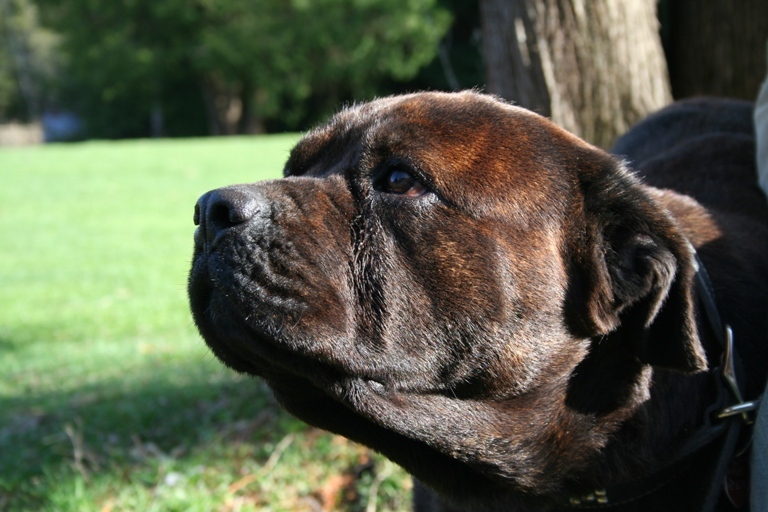 If you have a Boxer that is dog-aggressive DO NOT take him to the off-leash dog park to socialize him, instead be smart and organize short interactions with dogs you already know to help him be more comfortable – Craigslist can be a great resource for this. Always make sure your dogs are properly restrained when going into a public area, because even though you know your Am Staff just wants to follow the neighbor children around to try and get a lick of their ice cream cones, their parents do not know that, and they will take action if they feel threatened. We need to be sure to protect our dogs, and it is our duty as owners to be sure that they do not get into situations where they may get into trouble. The less incidents that happen out there, the more Pit Bulls and Bully breeds can start to fade from the limelight, and the closer we will get back to return their much-deserved reputation as loyal and loving family pets.